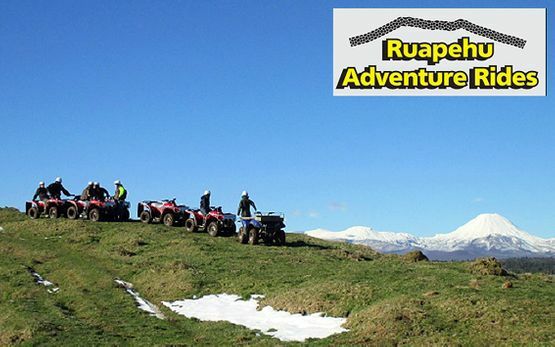 Ruapehu Adventure Rides offer guided quad bike tours on 200 acres of farmland. With native bush, natural stream crossings and stunning views of Tongariro National Park, these quad bike adventures are an exhilarating off-road experience. Ruapehu Adventure Rides cater to all riding abilities. Rides begin with a full induction session to get you going. Guides are qualified with ATV and First Aid Certificates. All safety and wet weather gear is provided. This includes jackets, pants, boots, gloves and helmets. Ride lengths range from 30 minutes to half a day. Visit the website www.ruapehuadventurerides.co.nz or call 0800 787433 (0800 R U RIDE).